Days Inn Vancouver Downtown Blog: Beer Enthusiasts: Oktoberfest is Coming Soon! Please be advised the hotel will be undergoing renovations beginning of January with an expected completion date of May 1 st , 2019. During this time the hotel will continue to operate with floor closures in effect. Thank you for your understanding. Beer Enthusiasts: Oktoberfest is Coming Soon! Oktoberfest, a traditional German festival, is usually held in late September and early October. Munich in Germany hosts the largest and most famous Oktoberfest in the world, but you can get a pretty good taste of Oktoberfest in Vancouver, too! If you’re a beer enthusiast, you will be happy to hear the core of the festival involves an abundant amount of beer and German-style pub food, such as sausages and sauerkraut. If you want to experience Vancouver-style Oktoberfest, we put together a list of the most popular events to celebrate this German tradition. Prost! Fort Langley’s Trading Post partners up with Field House and Steel & Oak to prepare a fun Oktoberfest featuring one-liter steins, food, and a lot of beer. Oktoberfest is held in two sessions; noon-5 and 6-midnight, so purchase your ticket for a session you’d like to attend! The ticket will get you admission, a souvenir German beer stein, and your first beer. H2 Rotisserie & Bar at The Westin Bayshore will lure you in with brews, bites, games and a live performance. Red Truck Brewing Company craft beer, traditional German fare, and all the entertainment is a guarantee you will have a fun night! Tickets include entry, one complimentary beer ticket, take-home stein, and food for the night. The Oktoberfest at Hastings Racecourse features the usual beer, food, live music and exciting horse racing on the top of that. Included with admission is a souvenir beer stein, 2 drink tickets, 1 food item voucher, $5 towards a horse bet and a horse racing program. Come and celebrate the famous festival in style at the iconic Hastings Racecourse! This is one of the oldest of all Vancouver Oktoberfests that you have to add to your list. The Vancouver Alpen Club is a local cultural organization that hosts Oktoberfest on three weekends which are full of beer, food, music, German games, and fun! Regular tickets $35 gets you an admission to the Oktoberfest, while VIP tickets $80 include admission and access to a designated area with a delicious German buffet. The venue has a capacity of about 350 people and the tickets are sold out on most of the nights! Port Moody Oktoberfest is known as “Western Canada’s largest and most original Oktoberfest,” and proceeds from the event benefit the local Eagle Ridge Hospital Foundation. You can look forward to traditional German food that includes pork hock, schnitzel, bratwurst, pretzels, and corn. German beers selection features Paulaner and Hacker-Pschorr, as well as wine from BC’s Ledlin Family Vineyards. Now bigger than ever, the Port Moody Oktoberfest happens under two tents, featuring activities, the Miss Oktoberfest contest, Original “München Oktoberfest” beers, heaps of food vendors, and live entertainment. Read more here. Take an Oktoberfest booze cruise on the Fraser. German-themed food and drinks will be available for purchase on board as well as music and lots of fun! Read more here. Cloverfest is a fundraising Oktoberfest event in Surrey that’s put on by the Cloverdale Chamber of Commerce and Cloverdale Rotary Club. 2018 details are to be confirmed, but in 2017 the general admission got you two beverage tasting tokens, a souvenir sampling cup and a fun evening with live music. VIP admission included four beverage tasting tokens, a sampling cup, complimentary food, priority line access, great seating in the VIP area and a fun evening with live music. Find out more here. North Shore Green Markets hosts an Oktoberfest event at the Shipyards in North Vancouver. In 2018 it was tentatively scheduled for Friday, October 19, but details are to be confirmed as it may or may not be taking place this year. Regardless of the Oktoberfest event, North Vancouver still hosts Vancouver’s North Shore Craft Beer Week which takes place from October 19th until the October 26th. 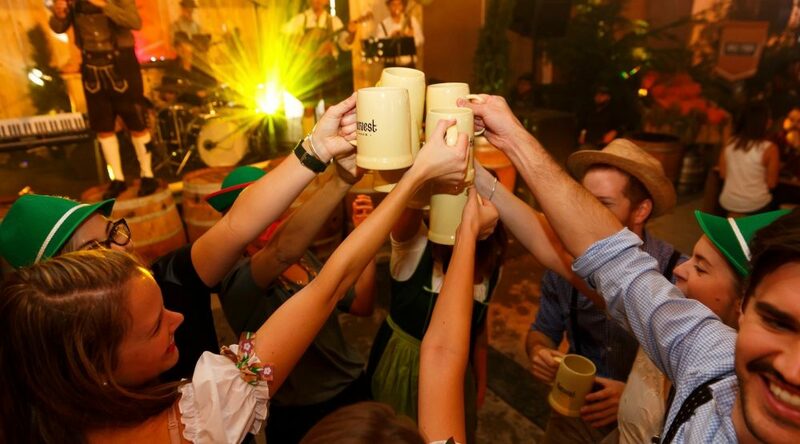 Hope you enjoyed our tips on how to spend The Oktoberfest in Vancouver! Do you have any other recommendations? Comment below, let us know on our Facebook page or post your pictures on Instagram and se the tag #mydaysinnvan. 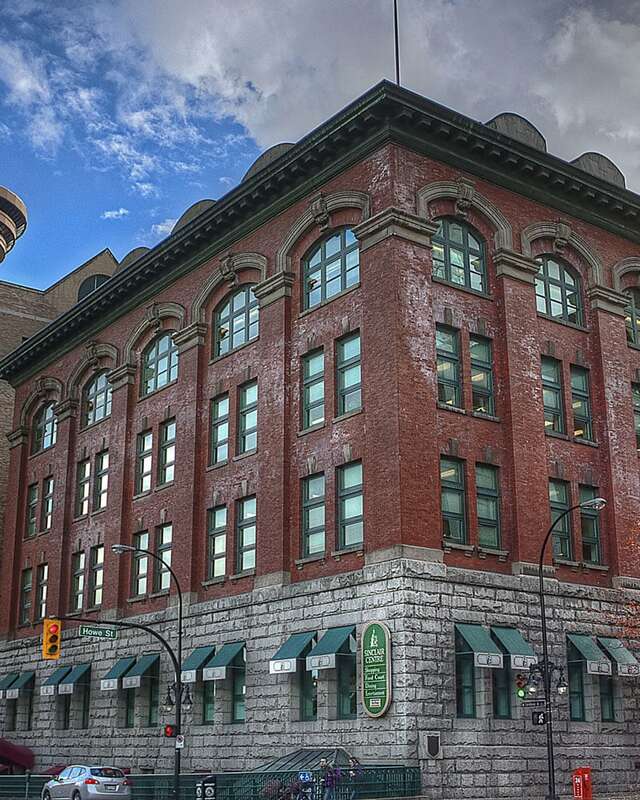 © Days Inn Vancouver. All rights reserved.